Every business, every designer needs to keep in touch with his clients, it could be just an email, catching them up to speed on the status of their projects being developed, or it could be just a friendly email promoting your new services. Make your life easier with these easy to use, user friendly email marketing tools. You’ll look more professional and they will carry most of the burden for you. There’s a range of marketing tools, depending on what you need and we’re here to round them up for you. We got email scheduling and productivity tools, email marketing platforms, design and branding tools, spam checking and deliverability tools also, just take a look and see what fits you. SalesHandy is one of those finds that soon turns into your go-to mailing tool. In SalesHandy’s case, the tool can have multiple uses such as tracking, scheduling and integrating with your trusty mail client. The task at which it truly shines, though, is merging your emails and allowing you to send mass emails with ease. Gone are the days when you have to manually send over 100 emails to your business partners. Now all you have to do is follow an easy, predefined workflow and you’re done. If I’ve piqued your interest go over to their website and fall in love with their awesome product, that also comes with a glorious Free Trial. 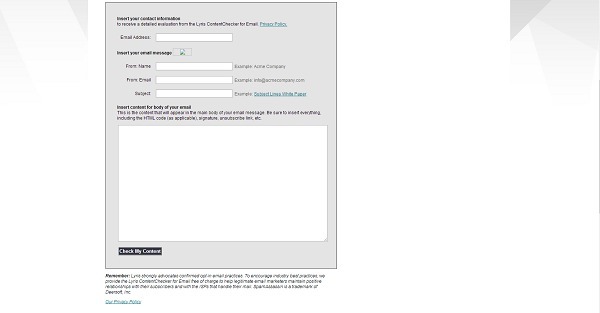 Once you’ve created a free account on Reachmail it lets you add up to 5,000 contacts and send 15,000 emails per month. If that isn’t enough for you, Reachmail offers support for social media sharing, custom templates and many other nice features. If you thought that Reachmail has a lot to offer, wait till you see what TargetHero brings to the table. Like Reachmail, it lets you add up to 5,000 contacts, but here’s the catch, it allows for unlimited sending. 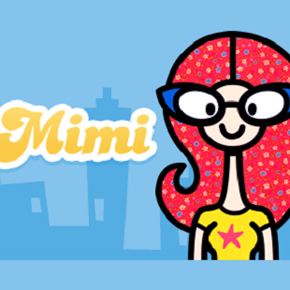 You can also check out their features such as an email design wizard, a contact list manager. Though campaign management and automation seems to be the jewel here, it’s not, it’s actually real time analytics that makes it superior. 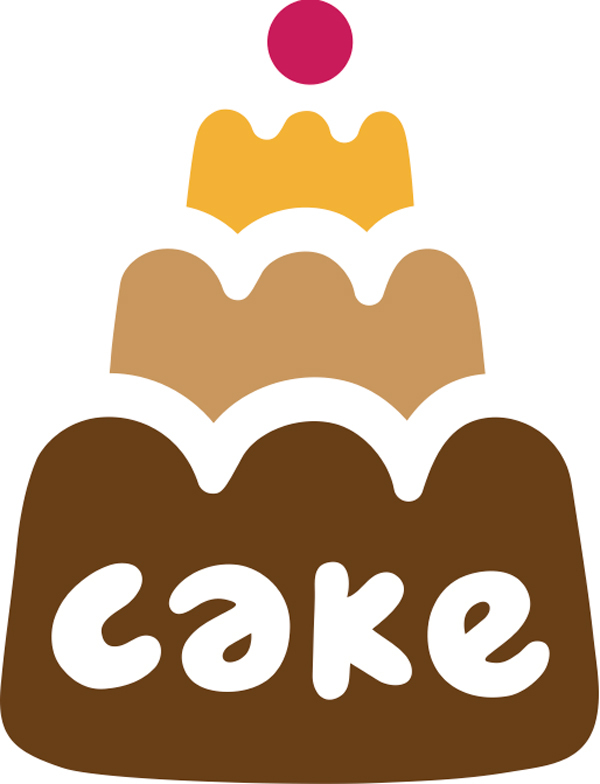 If you opt in for a free account on CakeMail, you’ll get up to 2,000 contacts and you can send up to 12,000 emails per month. 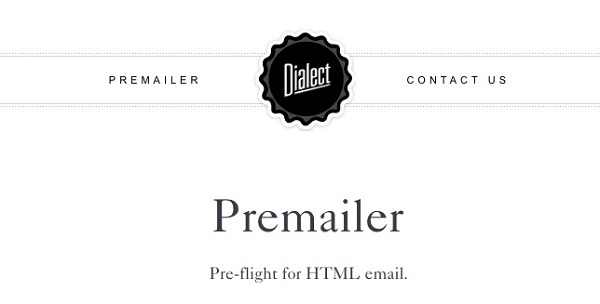 You can choose from a variety of beautiful and customizable email design templates. It also has features such as list management and analytics. 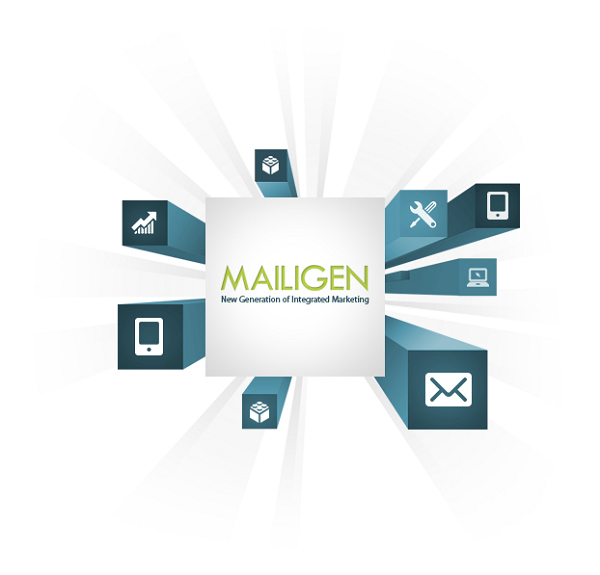 “Email delivery made easy” is their catchphrase and they stand true to it. Easy integration via SMTP or API, for a free account that also lets you send up to 6,000 emails a month. They offer detailed statistics and analytics. 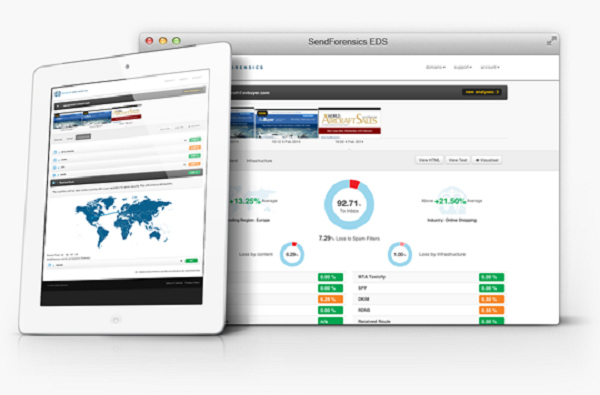 They also monitories your campaigns and IP addresses, to make sure your emails are delivered. 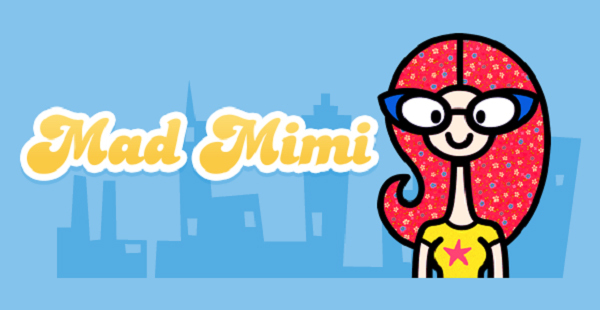 For a free account, on Mad Mimi, you get to add up to 2,500 contacts and send up to 12,500 emails per month, the downside is that you receive no support. Their love for minimalistic beauty will make you their user. They also offer features such as list management, delivery reports, and tracking. It really is a “ Simple Lovely Email”. If you’re among the lucky ones that can get their hands on a free account, offered to the first 5,000 subscribers, cherish it because you’ll never need to pay for it again, it’s forever free with all the features of a paid account. There is one thing that you’re going to miss, and that is you’re not allowed to bulk import contacts. I think you’ll live just finely without it. Are you a fan of Google Chrome? If not, think about start using it. This tool is unbelievable. It’s an extension for Google Chrome that syncs with your Gmail account. You have all the features such as creating a mailing list, tracking your emails using analytics tools, dragging and dropping to change the email design. Flashissue lets you add up to 25 contacts with no limit set for sending emails per month. Oh, and did I tell you that it knows Latin? Test it! Think about using Rebump if you’re using Chrome or Firefox. It’s a free extension that syncs with your Gmail account. 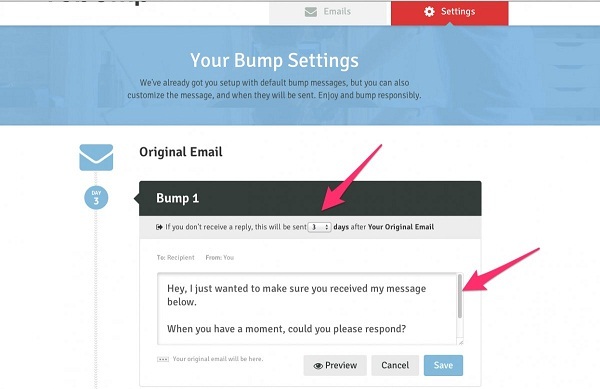 You can set it to automatically reply or send follow-up emails. You can set it to customize your message however you want so that the receiver doesn’t know it wasn’t you. It can be your little secret. FollowUp hides your emails from your inbox and prompts them up when you need them. Of course you can schedule those reminders directly from your inbox. The free account lets you set up to 20 reminders per month. It’s pretty okay for a Chrome extension. 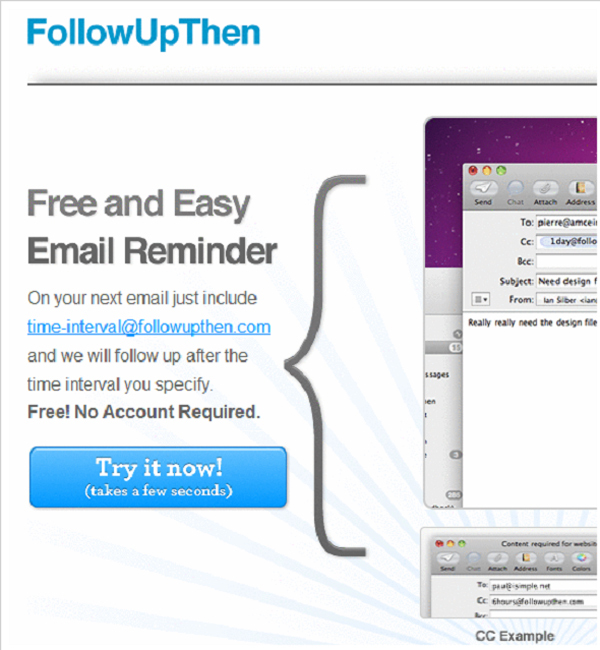 Like FollowUp it lets you set create email reminders, and it also lets you schedule when to send certain emails. 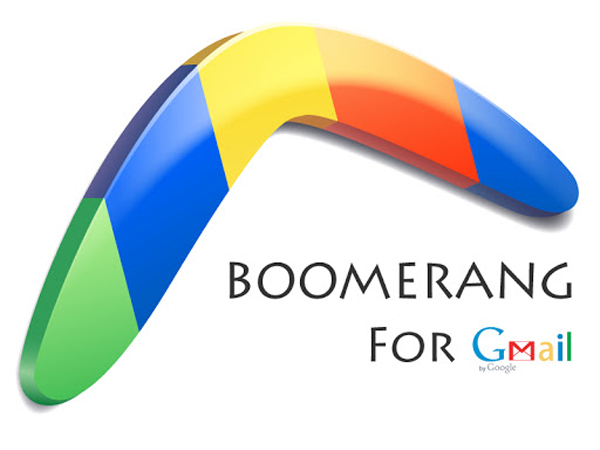 Boomerang is an extension for Gmail, and can be used on Chrome, Firefox and Safari. You need to keep in mind that a free account limits you to only 10 message credits per month. Don’t get FollowUp and FollowUpThen mixed up. They are different. 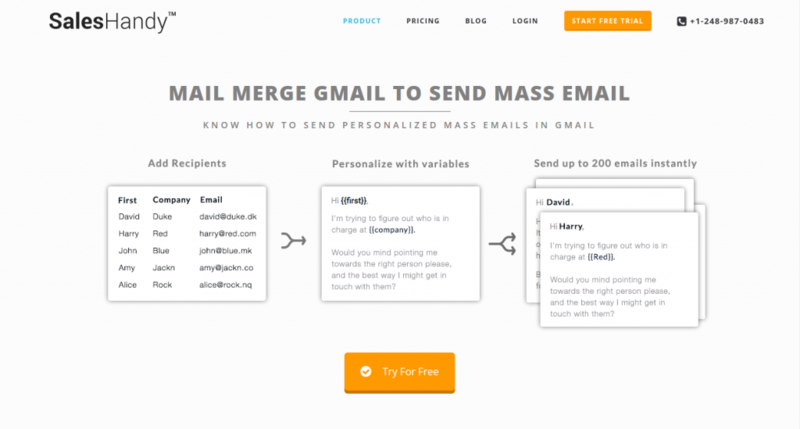 This tool also helps “clean” your inbox for emails, and reminds you later on of them. The incredible thing about it, is that with a free account you get unlimited reminders, and you can use it anywhere, since it’s email based. We all know how important it is that your email looks good, looks professional, so it can increase your credibility and possibly increase engagement via social media. 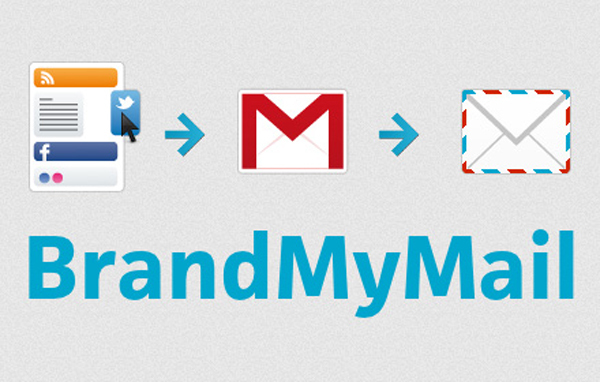 BrandMyMail does just that. It’s an extension for Chrome and Firefox that integrates your Facebook posts, your Twitter tweets into your preferred email platform by using customizable mail templates. The free account offers up to 100 emails, of this sort, per month. This web service is just great at integrating your social media content with your emails. 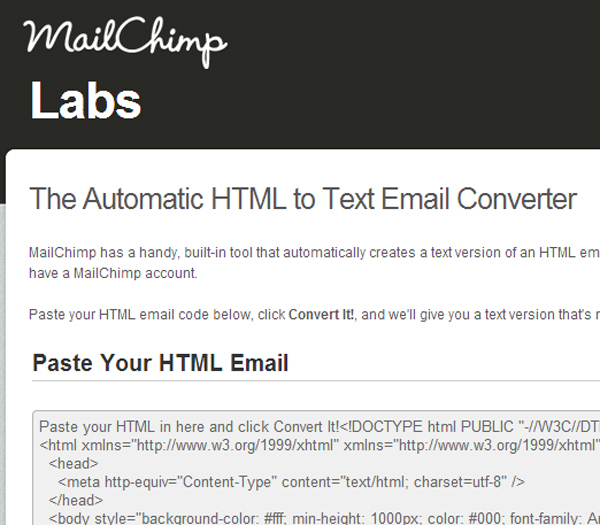 It creates social-media centric HTML signatures for your emails. It’s available for platforms such as Gmail, Yahoo!Mail, Hotmail and AOL Mail. Not certain if it’s available for your browser? Well, don’t despair, you can use it for Chrome, Firefox, RockMelt and Thunderbird. Do you know a little bit of HTML? Then this tool is for you. It cleans up and improves your code, it verifies that your CSS is inline, turns all relative URLs into absolute ones and it removes undesired HTML elements. Want a text version for non-HTML? It can do that too. It does just one job, but it does it real good. As the title says, it converts HTML to text. You never know when you need one, it might come in handy. Have you ever wondered how your email is displayed on different email accounts? This tool represents just that. You only need to input your HTML and select view. 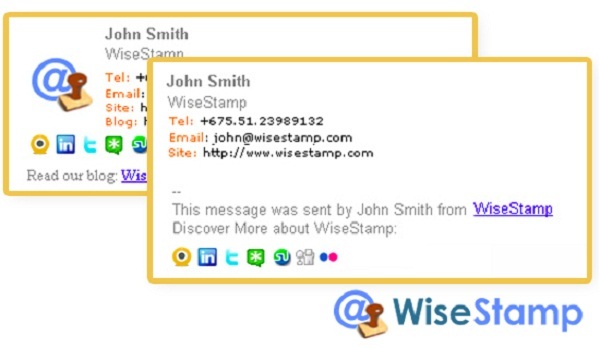 Now you can see how users of Apple Mail, Hotmail, Outlook and Gmail see your email. No more formatting errors for you and your friends. Use Lyris ContentChecker to check if your email will end up in someone else’s spam folder. It analyzes your account by it’s content and determines, using commonly-adopted spam filters, if it will be seen as spam or not. No more worrying if your emails has been delivered or not. 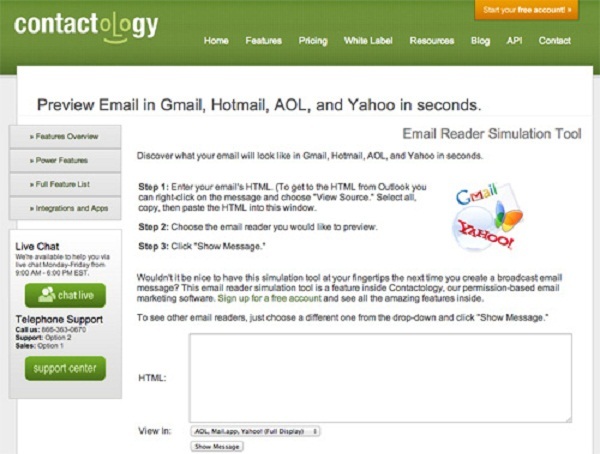 This tool tests your emails for deliverability. 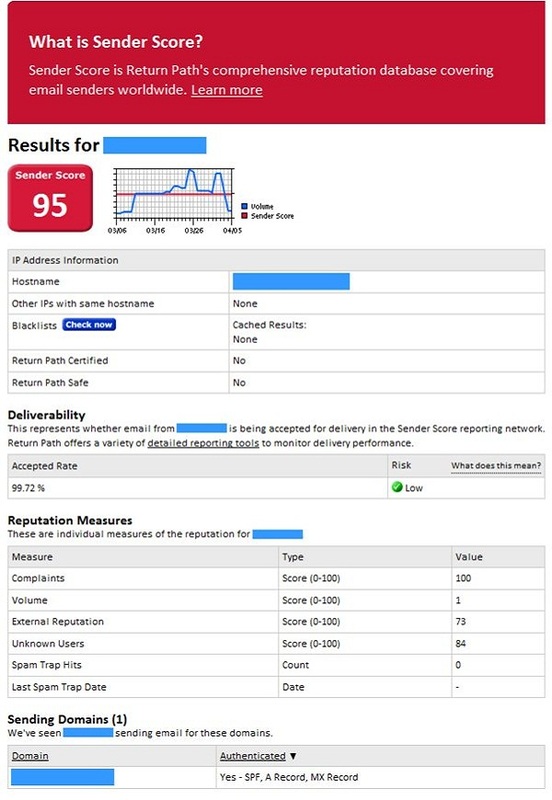 It also compares deliverability performance with industry and regional benchmarks. With this tool you can check your score for spam. It has an algorithm that judges outgoing emails out of 60 million mailboxes, from mail sender IPs and domains. Keep your score high or else face the consequences. Your mails can be considered untrusted and be put in the spam folder. Your sent emails need to be clicked, and Litmus Subject Line Checker verifies if it’s clickable and if it’s displayed properly among different email clients. It works with most clients. That concludes our list of the best email marketing tools. Don’t forget to tell us your thoughts on this article, in the comment section below. 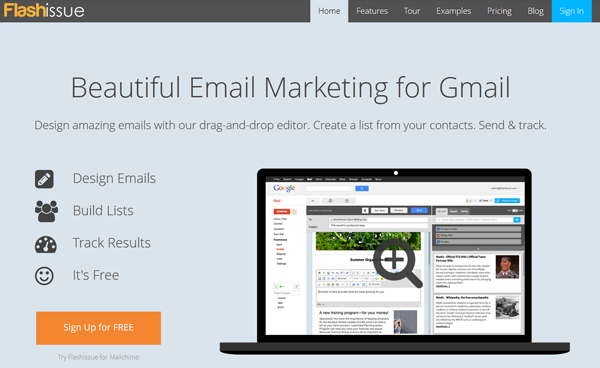 Great compilation of email marketing tools. Any suggestion for the best one each for Free and Paid categories?